Kids are so focused on summer at this point in the school year, so why not harness that energy and use it to work on grammar? 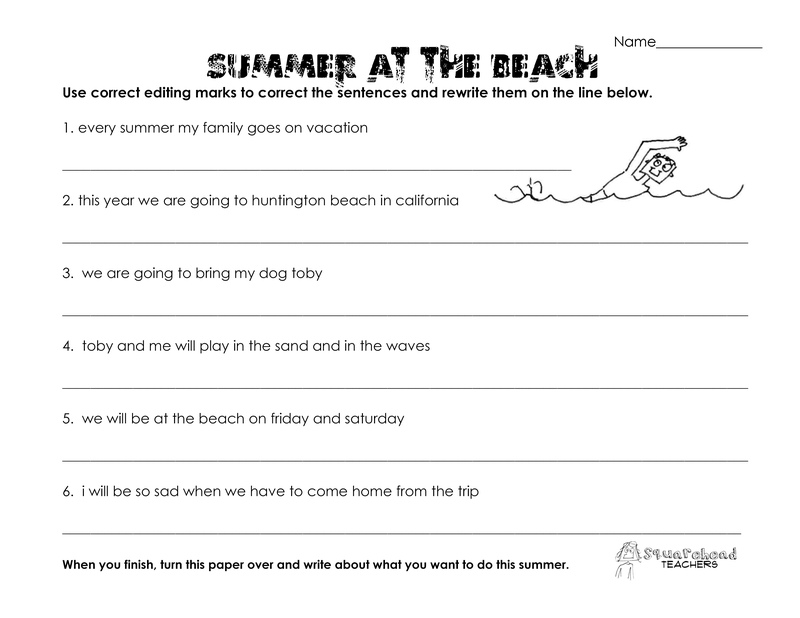 When kids finish this side of the free grammar worksheet, they can flip it over and write about their summer plans. Fast finisher activity? Check! Here’s the last batch (6) of Squarehead grammar worksheets in a Google Doc. This entry was posted in Grammar, Summer and tagged Children, Education, Elementary School, Grammar, Homeschool, Kids, summer, Teacher Resources, Teachers, Teaching by Squarehead Teachers. Bookmark the permalink.